Granit has been appointed to design an upgrade to the internal common parts of a beautiful block of Art Deco-esque flats in Earls Court. The block is over six floors and contains 70 apartments, with three large penthouses on the top floors. It has two entrances; one at the front where the apartments are accessed from the main internal landings, and at the rear with external staircases/walkways providing access. Our brief is to design an upgrade to the front entrance and common landings of the building. 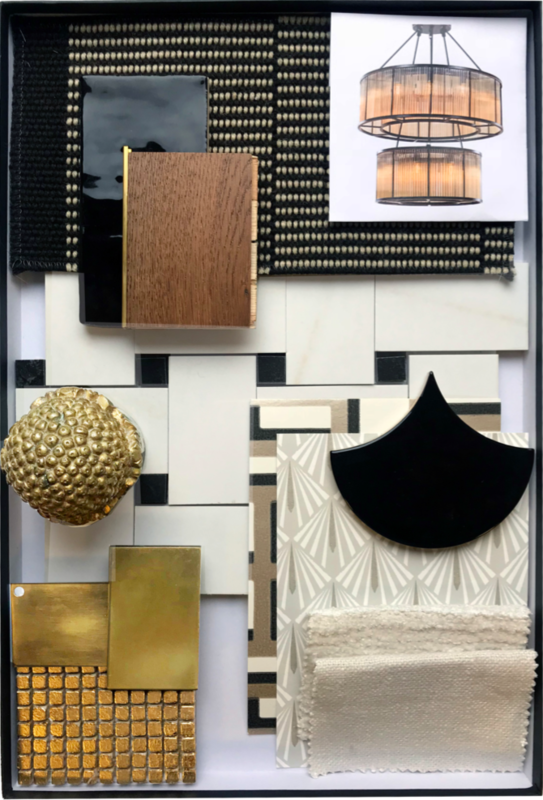 It’s a challenging project as it requires us to blend the existing Art Deco elements with some more contemporary styling. The landings have their original parquet flooring intact and there are further Art Deco details inside such as the balustrades and doors. However, over the years the building has lost a lot of these features and reinstating these is a crucial part of the project, as well as combining these traditional features with some more contemporary styling too. These are traditional colours associated with Art Deco era. The use of marble effect tiles with black intricate floor decor will create a sumptuous and luxurious feeling of space. Bold golds and vibrant wallpapers will add to the lavish and high impact geometric scheme. Gloss Black skirtings, architraves and metal screens will flow throughout the floors hinting at a modern take on the Art Deco movement. High gloss floors and skirtings will pick up light and feel glamorous yet elegant. Elegant and bespoke Art Deco plasterwork is the main focus of this scheme, including clean architectural whites with black hints through-out. Plaster wall decor would fill the entrance lobby and sneaks on the other floors. Black gloss skirting will contrast against the super matt wall white walls. A subtle wallpaper will be used in key spaces to add visual interest and pick up on the warm tones in the marble effect flooring. This scheme is quite minimal, and the initial investment would be in the bespoke plaster mould designs that would be used throughout, then the rest of the cost is purely decoration. 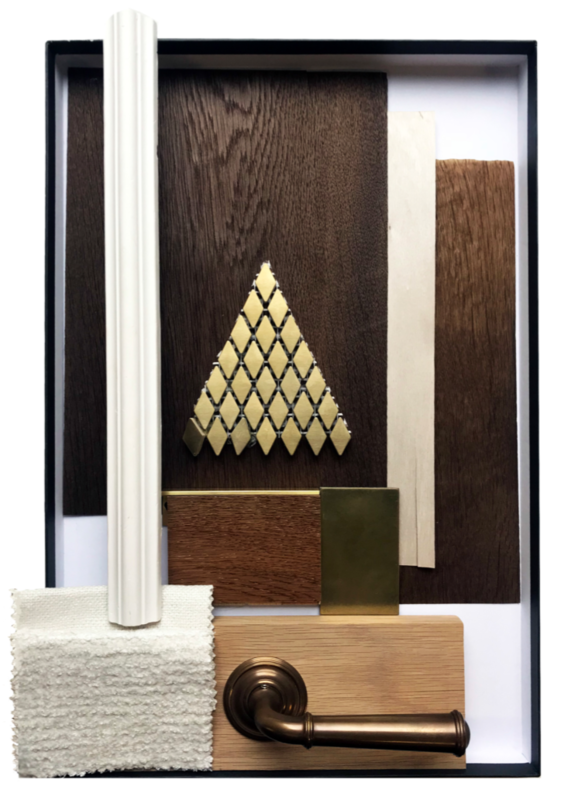 Timber panelling will be used to replicate the glamorous entry halls from the 1920s. Dark, rich, timber panelling with brass inlays in bespoke designs. Marquetry in critical areas for extra depth and attention to detail. Exposed original features throughout with timber skirtings in communal stairs. Polished brass to catch the light and contrast with the darker timber. Glossy timber veneer against matt veneer makes for a more modern take on traditional timber panelled rooms. 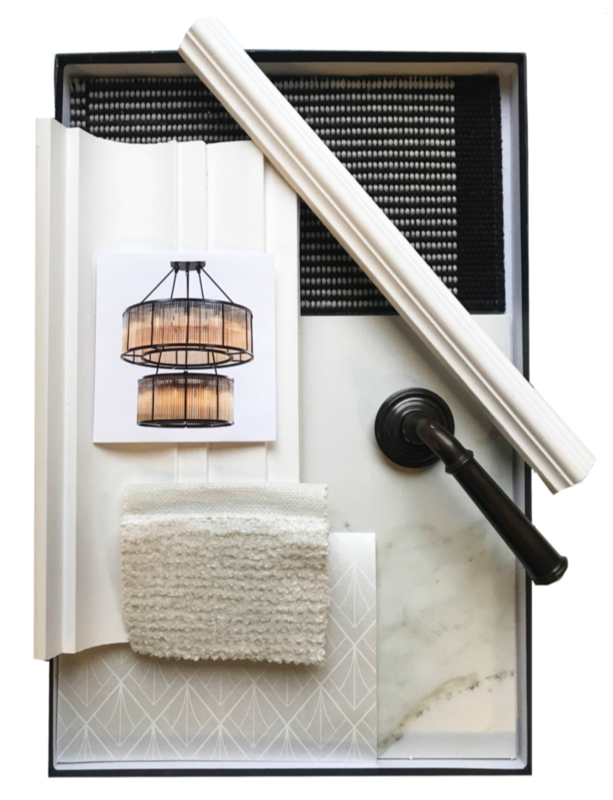 Paired with black and white flooring, it would create a statement entrance and communal space. The scope of the project is considerable, and we’re excited to be working on new lighting, wall coverings, flooring, reception desks for the day porters, furniture and decoration for the landings and some joinery updates too. It’s a lovely project and perfect for Granit’s interior architecture and design team to show off its design skills. If you wish to contact our interiors team you can find their contact details here.